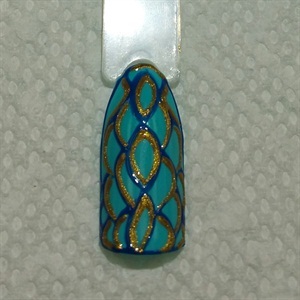 Inspired by bold and detailed prints, Mansfield, Texas-based nail tech Ashley Grimmet created a design that’s textured and incorporates metallic elements for a daring finish. Follow these steps to find out how you can recreate the look on your clients. 1. 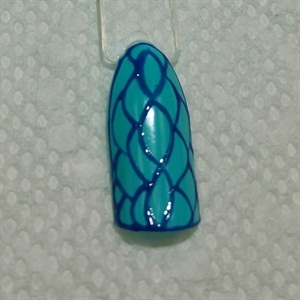 Paint the entire nail with a light teal gel-polish. Cure. 2. 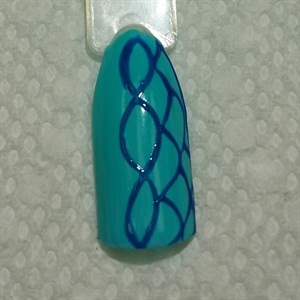 Using a fine detail brush and blue gel-polish begin painting the embossed pattern from the center down. Cure. Pro tip: If you don’t have the steadiest hand, you can cure the nail after each stroke. 3. Continue to add to the pattern by carefully painting arches in between points of intersection. Cure. 4. 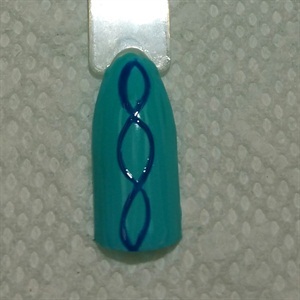 Fill in the rest of the pattern and outline the entire nail. Cure. 5. 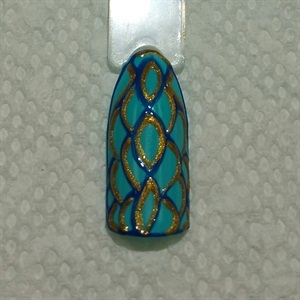 Using a fine detail brush and gold gel-polish, add metallic lines between the blue to make it pop. Cure. 6. Cap the entire look with gel-polish top coat. Cure. 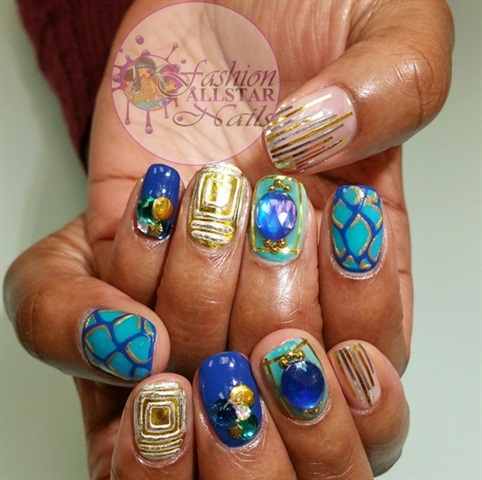 See more work by Ashley on her Instagram @fashionallstar_nail_studio. For more technique-focused designs, click here.